This includes any kind of food, canned or not. This is especially important in outdoor storage facilities where stray animals and insects can get into the storage unit looking for food. Need somewhere to put that oil from your last oil change? Storage isn’t the place! Keep your oil, chemicals, gases or cleaners at home or dispose of them properly. Combustible and flammable chemicals don’t belong in storage either. There’s a lot of risks when dangerous items are left unattended. Explosives could detonate. The unit could be broken into and firearms taken. While all indoor storage facilities do their best to regulate temperature and humidity, if the air conditioning unit fails your items could be susceptible to damage. 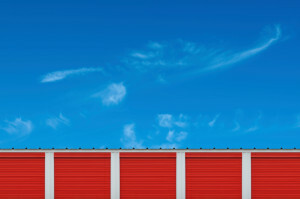 Likewise, outdoor storage facilities can wreak havoc on delicate items, especially during our hot summer months. Additionally, be sure to remove seasonal, decorative candles from those holiday boxes prior to non-climate controlled storage! Along with the risk of firearms being stolen, your jewelry has the potential of going missing if your unit is vandalized. If storing them is unavoidable, then check your homeowners policy for proper insurance or ask your storage facility about additional coverage for those more expensive items. Remember to keep important belongings with you in your home whenever possible. Here at Metro Movers, we offer climate controlled storage units if needed. We have competitive pricing and our units are continuously monitored for the safety of your items. Enjoy long or short term renting options in our secure facility. If you have questions about what can be stored in our secure storage facility in Phoenix or would like to inquire about pricing, please call 602-242-1160.